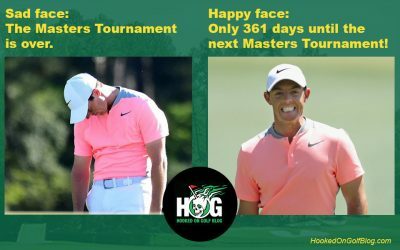 This is part two in a series of what I hope to be very interesting photos of Augusta National Golf Club and the Masters Tournament. 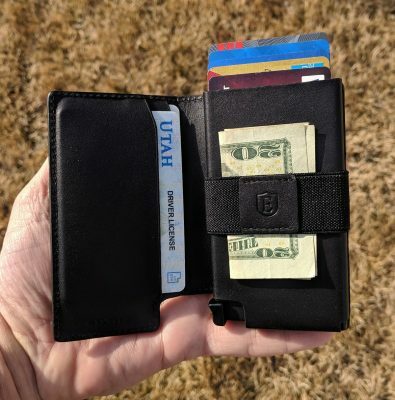 I’m hoping to show some less common angles, viewpoints, and interesting things in an effort to show a different perspective…because that’s how I roll. Below is an information board. These are found in a few locations around the course. Patrons can see where their favorite players are to plan their viewing enjoyment. 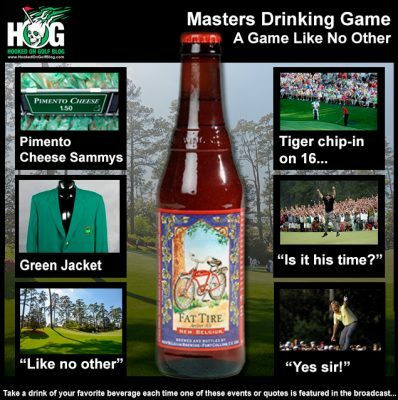 Masters beer is fairly cheap, though it did go up $1.00 this year. Here’s a shot of one of the refreshment stands from behind, showing the spent beer kegs at the end of a practice round. I presume these two gentlemen are checking the moisture level of one of the greens below. The new practice range at Augusta National is very nice, of course. It has quite a bit of seating. Below is a massive open area as seen from the edge of the 18th green, looking toward the 7th green way off in the distance. Below is a cool look at the par-5 2nd green as it is approached by the players. This photo is not far from where Louis Oosthuizen made the double eagle. Below is a look at the front part of the par-4 10th green. The picture does not do the vertical aspects of this hole justice. The place where I’m standing is quite a bit higher than the putting surface, and the area short of the green is much lower, going back up a big hill to the tee. Speaking of elevation changes, look at the drop from the fairway on the par-5 2nd below. It drops hard to the right, and down to the green. This is without a doubt one of the best weeks of the year in golf. Yes it is apparel script season. 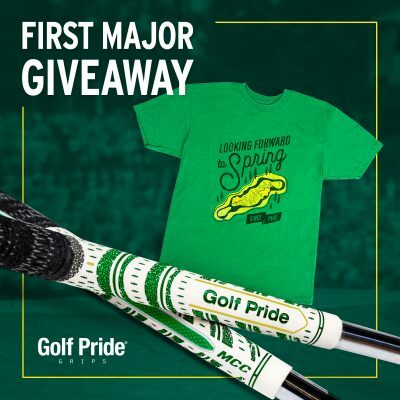 You see, the golf PR and golf apparel companies have really gone to great lengths to promote their products, and “apparel scripts” are getting more and more elaborate. While I appreciate fine apparel, I don’t find myself having to have a certain pair of shoes because x-PGA Tour player wears them. Same with the WITB (what’s in the bag) posts. 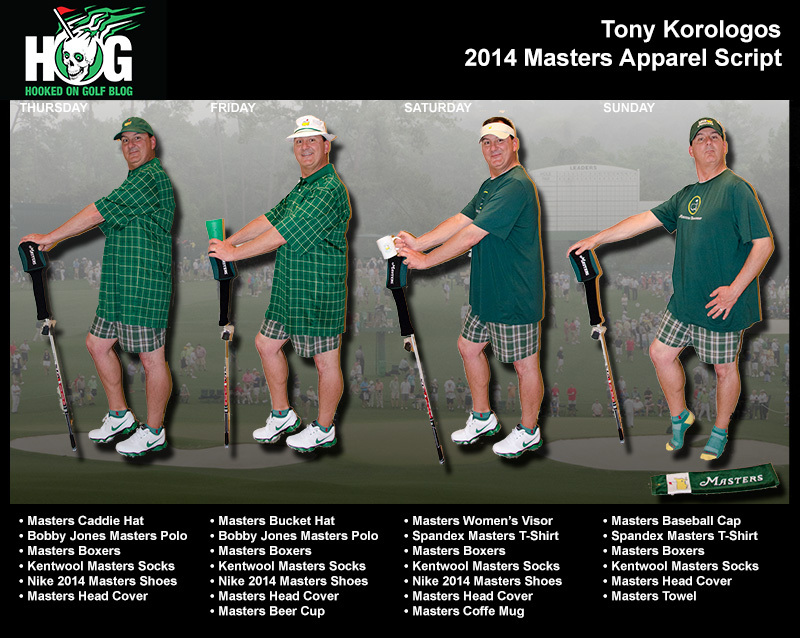 These apparel scripts have really flooded the golf media sphere. The PR agencies send them out and all the sites post them for what I figure are two reasons: 1. They want to continue to get swag and fear if they don’t post, the swag boat will sail. 2. They don’t have to actually create content. It’s all done for them. I’ve made it a policy not to post apparel scripts. When I started this site over 10 years ago I vowed to try and be as original as possible, and not post the same content everyone else does. Today I’m making an exception though. I feel I can add some value to these scripts, and a viewpoint (hopefully very twisted) not found elsewhere. So let’s get to it. What stands out to me most about the above scripts are that somehow Tiger and Rory will both be golfing in shirts which are missing the right sleeve. Heaven forbid there being any inclement weather as Rory’s outerwear layer is only the right half of his body. No left torso or left arm. Neither of these scripts has socks, which could be tough on those Augusta hills. Neither has underwear. That’s an issue. 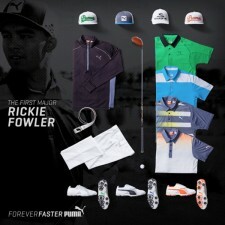 Below is Rickie Fowler’s Masters apparel script from Puma (click to enlarge). I guess the “missing right arm” thing is big this year because like Tiger and Rory, Rickie’s script (above) has no right arms at all. Also, no socks or underwear. I suggest some anti-chafe cream. Jason Day (my pick once again to win and lost money last year in Vegas) has probably the best apparel script, from adidas. As far as I can tell Jason is not missing anything obvious. 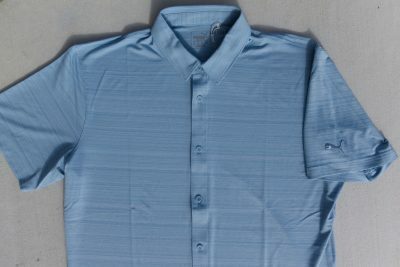 Strangely, all of his shirts do come with the right arm intact. Can’t see if he has socks or underwear on, but I’m going to give him the benefit of the doubt. I really like Louis Oosthuizen. He seems to always bring some serious game to Augusta. 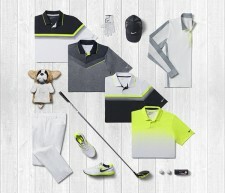 But he might have some problems this week because of issues with his apparel scripting. While his outfits all do include right arms, I think Louis is going to be at a big disadvantage with no shoes, underwear, or socks. I don’t see a hat either. He might get sunstroke without a hat, if he hasn’t had to withdraw due to sore bare feet. I’m not sure I can top last year’s script, but I’m going to give it a shot. Stay tuned. How fun. Here’s today’s Masters pin sheet for you to follow along at home.